Aloha, and Welcome to the Maui Sights and Treasures Blog! This post has been written specifically for our readers that are interested in learning more about the most romantic things to do on Maui. A Maui sunset cruise is perhaps one of the most romantic things to do on Maui! Check out the best sunset views of the glorious island of Maui onboard a fabulous ocean vessel. When choosing which sunset cruise is best for you and your partner, there are many options. 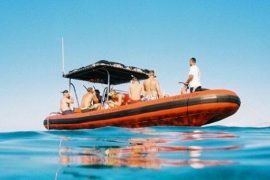 Consult with a Maui Sights and Treasures expert and choose a sunset cruise with live music, Maui sunset cocktails, and dinner cruise, or a combo whale watching sunset cruise during Maui’s Winter months. Enjoy a day of sightseeing Up Country and go wine tasting at Maui’s only winery, Tedeschi Vineyards at Ulupalukua Ranch. This is a great site to visit to enjoy gorgeous views during a picnic, taste pineapple wines, and pick up some great Maui made souvenirs. 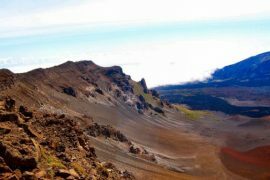 The Up Country areas are without a doubt one of the most incredible places to go on Maui. Contact us to learn more about Up Country sightseeing tours, or how to book a full day of events Up Country; farms tours, Maui horseback riding, historic church visits, botanical gardens, and the Maui winery. When visiting Maui with your partner in crime, take advantage of all the amazing live music! Marvel in the beautiful sounds of Hawaiian musicians at restaurants that offer dinner music on Maui, go dancing, or book concert tickets ahead of time to see legendary bands perform live. On Maui, it is possible to hear Classical, Rock, Reggae, DJ’s, and a whole spectrum of musicians on this one single atoll. The Island of Maui is a beautiful place to be in love, and a perfect environment to fall in love all over again! Maui No Ka Oi! Carol Simpson VanHorn liked this on Facebook. Jan Farmer liked this on Facebook. Lindsay Hanson liked this on Facebook. Darna Cuaresma liked this on Facebook. Marten Groenheyde liked this on Facebook. Melissa Friesen liked this on Facebook. Luke Daniels liked this on Facebook. Gabe FromMaui liked this on Facebook. Yonna Lerae Cromeens Moore liked this on Facebook. Pamela Johnson liked this on Facebook. Alex Mitchell liked this on Facebook. Richard Rollefson liked this on Facebook.